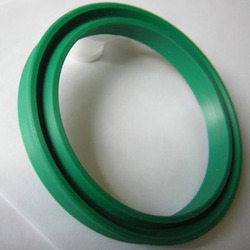 We are leading manufacturers and suppliers of Rubber Wiper Seal. Bestowed by a progressive production setup, we have attained specialization in presenting top quality of PU Wiper Seal to our patrons. Based on new techniques and modern equipment, we are engaged in offering a wide range of Wiper Seal. For the benefits of our customers, this Wiper Seal is available in different sizes and dimensions according to their needs and demands. Last but not the least; this Wiper Seal is highly treasured for their unmatched quality. We are offering high quality Vespa Scooter Speedometer Gear Seals. Our stock comprises Vespa Scooter Speedometer Gear Seals in various sizes. They are fabricated using the finest grade polymers and exhibit exceptional sealing properties. Thatâ s the reason we are a Manufacturer, Exporter and Supplier of high repute. Our company is highly esteemed for providing Wiper Seal to the clients. This product is basically used in automobiles wipers and is also used in high pressure steam systems that may contain asbestos. Wiper Seal is monitored on various levels of manufacturing in order to remove any kind of flaw before final delivery. Our presented range of PU Wiper Seal is broadly employed in the market for their durable nature. We offer high quality Wiper Seals to our precious patrons. These seals are widely used to prevent fault in hydraulics. These seals perfectly fit the rod while completely sealing the housing of the cylinder. These seals can be availed at the most moderate prices from us. SR Seals offers a wide range of hydraulic Wiper seals for both single-acting systems. It is protecteing the Hydraulic Cylender from the Dust. 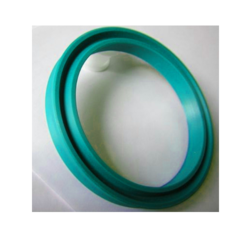 We are dealing in all types of metallic or rubber wiper seal in different elastomers. If you have specific requirement, we have the solution for you. All sizes are feasible. Please Contact to us for further details. While capitalizing on the available opportunities in the market, we are offering Closed Knuckle Wiper Seal which is designed in U shape. We are fulfilling each requirement of the clients by presenting a diversified portfolio. The offered product is available in different sizes and designs to match with various applications. Keeping in mind the diverse requirement of the clients, we offer functionally updated array of Wiper Seal that ensures fine finishing and is abrasion resistant in nature. Clients can avail the entire product range in varied finishing standards and are crack-resistant. Wiper Seal is quality approved before the final delivery. The main function of the Rod Wiper is to keep the rod and cylinder clean and free from foreign matter; thus preventing premature failure. The Rod Wiper is not a pressure sealing element, yet it avoids possible abrasive effects which may result if contaminates were to reach the sealing and rod bearing elements. We are listed among the leading Wiper Seals Suppliers from all over india. We offer Wiper Seals that are known for extreme sealing and wiping capabilities. Available in different shapes, our Wiper Seals have carved niche for themselves in the market. We are dealing in following brands like Simrit, Merkel, NOK, Hallite, B+S, Parker, Polypack, Sakagami, Valqua, Gapi, etc.